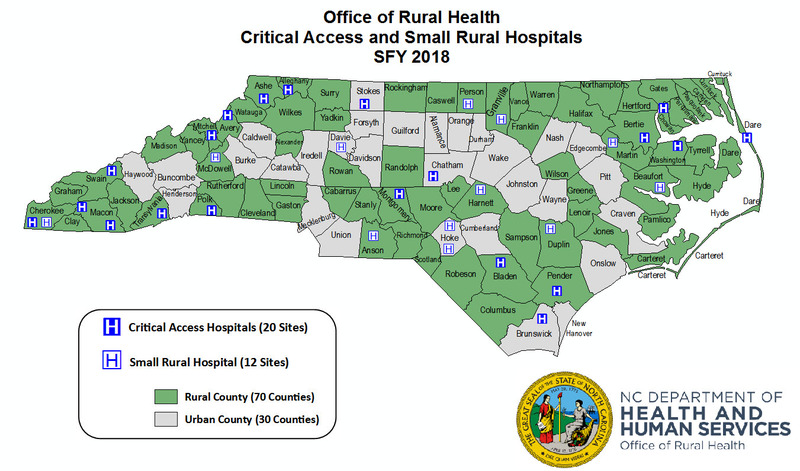 The Office of Rural Health’s (ORH) Rural Hospital Program supports 12 Small Rural Hospitals and 20 Critical Access Hospitals (CAHs). A CAH has a special designation from the Centers for Medicare and Medicaid Services. CAHs have 25 beds or fewer and receive cost-based reimbursement. Small Rural Hospitals have 49 available beds or fewer. ORH administers two federal grants on behalf of Small Rural Hospitals and CAHs to improve their viability, quality of services and integration with the rest of the health care system. These grants are the Rural Hospital Flexibility Grant Program (Flex) and the Small Rural Hospital Improvement Grant Program (SHIP).